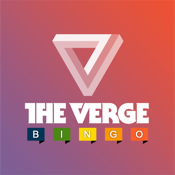 You listen to the Vergecast or The Verge Mobile Show and want to play bingo along with it. Well your in luck. You can now play The Verge Bingo on you iOS device while listening to a podcast synced to you iOS device or with a broadcast from your computer.